Volkswagen poured cold water on the triumphant announcement from Prime Minister Zoran Zaev that the German car giant is planning a major investment in Macedonia worth over 100 million EUR. Zaev declared that the company will open a large manufacturing plant, and conditioned it with the successful end of his operation to rename the country. In six months a huge German company will come to our country. An investment of over 100 million EUR! I can’t give its name but it will come up, said Zaev, and shortly after media outlets close to his SDSM party said that it is Volkswagen. But, a Volkswagen representatives told PressingTV.mk that the company is still considering the destination of its next investment, which will be worth 150 million EUR. We thank you for your interest in the new multi brand factory by the VW Group. A decision on the location of the factory has still not been made. 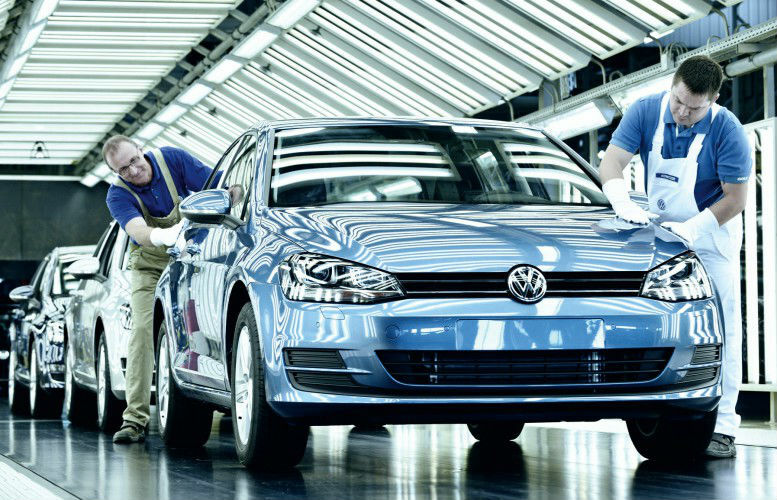 We will inform the public once it is made, a Volkswagen spokesman told PressingTV.mk. Other countries, like Serbia, Bulgaria, Turkey and Romania were mentioned as potential destinations for the company. Turkey and Romania already are automotive powerhouses in the region.